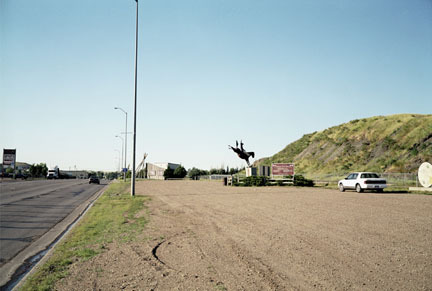 Exploring the landscape, historical sites, discarded memorabilia, and makeshift roadside museums littering the modern West, Justin Newhall has spent the past few years following the Lewis and Clark Trail through the Dakotas, Montana and beyond. Lewis and Clark are the best known Anglo-Americans to survey the American West, and it is through their narrative that modern Western mythology has its origin. Newhall's photographs explore the energy we put into keeping such myths alive—the stories of undaunted courage, brave explorers, cowboys and Indians. Not meant to be a didactic account of present day life on the trail, Newhall's series is rather a lyrical exploration of the speculation, exploration, and exploitation inherent in our treatment of the land. 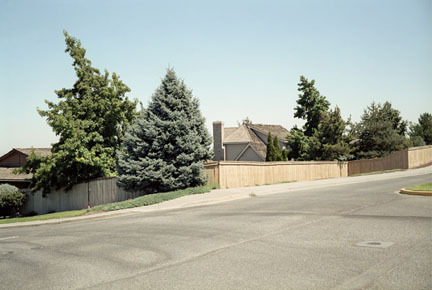 Using a 6 × 9 medium format camera, Newhall focuses on the hyperboles of tourism as he subtly critiques the American consumption of history. Newhall studied at both the Minneapolis College of Art and Design (BFA, 1994) and the University of Minnesota (MFA, 1998). 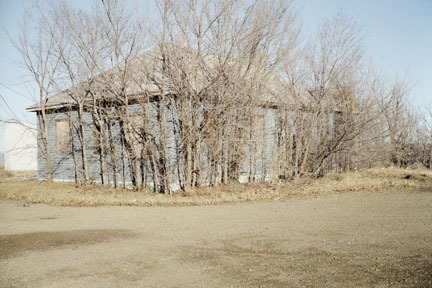 His work has recently appeared at the Minnesota Center of Photography and the Tehran Museum of Contemporary Art, Iran. 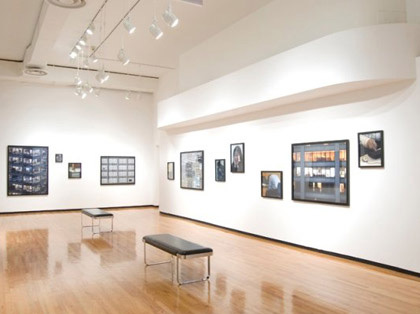 Newhall has received several grants, including the McKnight Photography Fellowship; a Minnesota State Arts Board Fellowship; and a Jerome Fellowship. He teaches photography at the College of Visual Arts and at University of Minnesota.